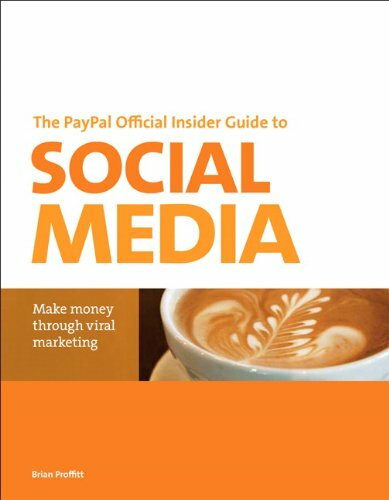 [PDF] The PayPal Official Insider Guide to Selling with Social Media: Make money through viral marketing | Free eBooks Download - EBOOKEE! Description: This book demonstrates to sellers that social media is the ideal focus and PayPal is the best tool to grow profits in today's online marketplace. Key social media sales strategies, tactics, action plans, and real-world success stories for all kinds of sellers are presented, making it easier for sellers to choose the right solutions with PayPal. This book shows sellers how they can deploy PayPal payment tools, products, and services through their presence on social media. Sellers will see how to apply PayPal via custom apps, buttons, badges, widgets, and more. Sellers using PayPal can help buyers make transactions as part of their regular networking on posts, blogs, tweets, podcasts, videos, group-sites, and more. This book provides a PayPal playbook to help casual sellers and established business owners use social media to build better ongoing customer relationships and more profits online. No comments for "[PDF] The PayPal Official Insider Guide to Selling with Social Media: Make money through viral marketing".